I was supposed to visit Mexico the last time I was Stateside (early this year), because I wanted to write my own Mexico solo travel guide. I already had a ticket from New Orleans to Mexico City, and was quite excited about the trip. Unfortunately, life happened (as always), and I had to cancel my flight. Fortunately, another blogger, Adrien Behn of StrangersAbroadPodcast.com, loves Mexico City and has been there several times. She wrote this article of Mexico travel tips on as part of our monthly Solo Travel City Guides series. 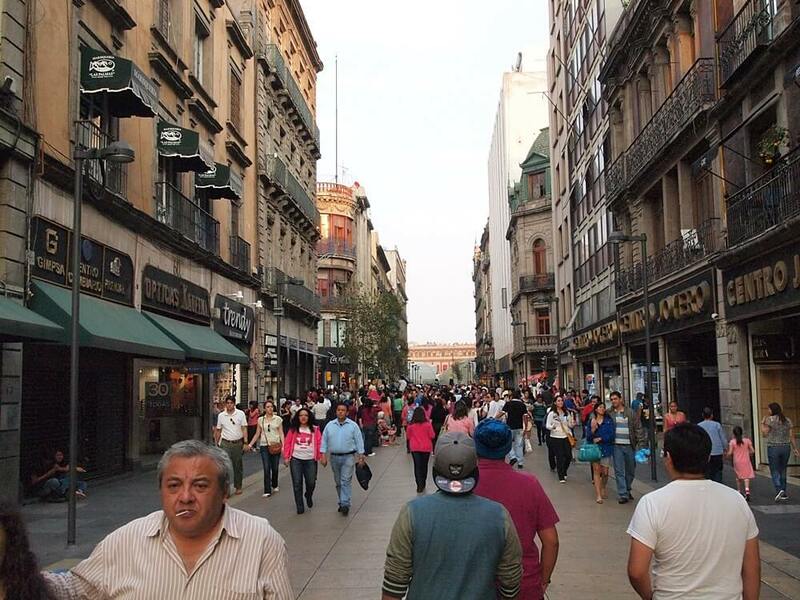 Mexico City is the original New World city. It has always incorporated and blended with the surrounding cultures and influences from native tribes moving throughout the area to the conquistadors and their captives. Today, it still holds the interconnection, creative exchange, and pulse of people traveling thousands of miles just to be there. It holds some of the oldest histories of Latin America while simultaneously creating some of the world’s leading contemporary art, music, and cuisine. Mexico is caught in a timeless space where the past and present are constantly interloping on each other blending their ancient Aztec roots, Catholic influences, and modern technology. Some would say that Mexico City is an eye candy. It’s a city that looks like someone spilled buckets of paint over it and forgot to clean it up. It’s a city that has no inhibitions — it is passionate and magical and strange. It is colorful and wild and intense. It is complex, and it contains multitudes. It’s the coolest city in the world! Mexico City has one international airport: the Aeropuerto Internacional Benito Juarez. When you arrive, you can get into the city multiple ways. You can take the metro, which is the most affordable way to go. However, be careful on the subway because it can get crowded and is known for pickpockets ( I say this from personal and researched experience). The station is on Metro Line 5 (Línea 5 ), and you want to take the train to Pantitlan. That will get you in the direction for the zocolo (city square), which is central to anywhere else you need to go. Granted the city isn’t far from the airport, so taking an Uber is the best way to go. 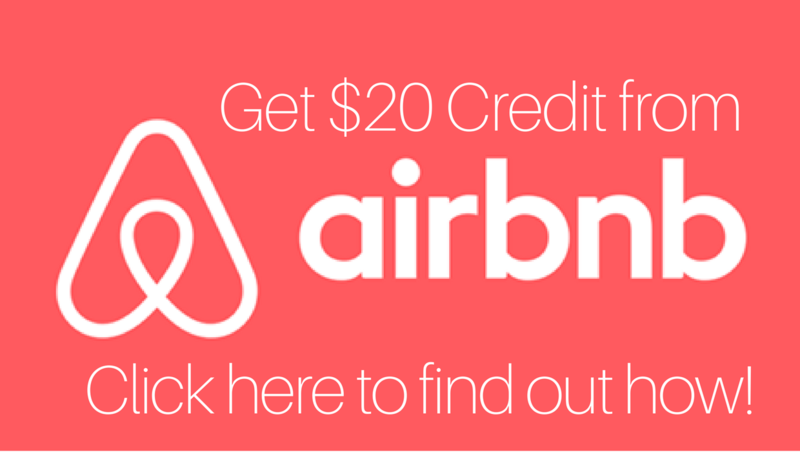 You are guaranteed that you won’t get ripped off AND it is roughly $5-8 into the city from the airport (with an Uber X!) depending on where you are staying. The ride can be anywhere from 15-30 minutes depending on traffic (which can get muy loco). The best neighborhoods to stay in that are trendy, relatively affordable, and centrally location are La Condesa, La Roma, or Roma Norte. Polanco is also trendy but a tad bit pricier and a wealthier neighborhood. 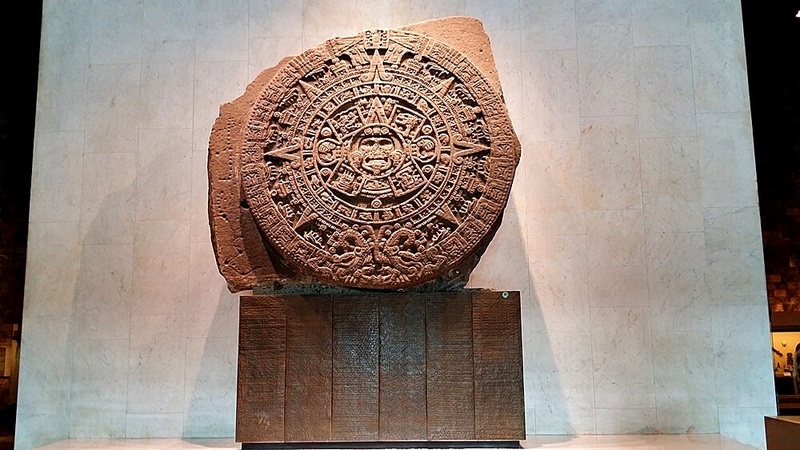 The Aztec calendar stone — the most well-known Aztec sculpture — is in the museum. 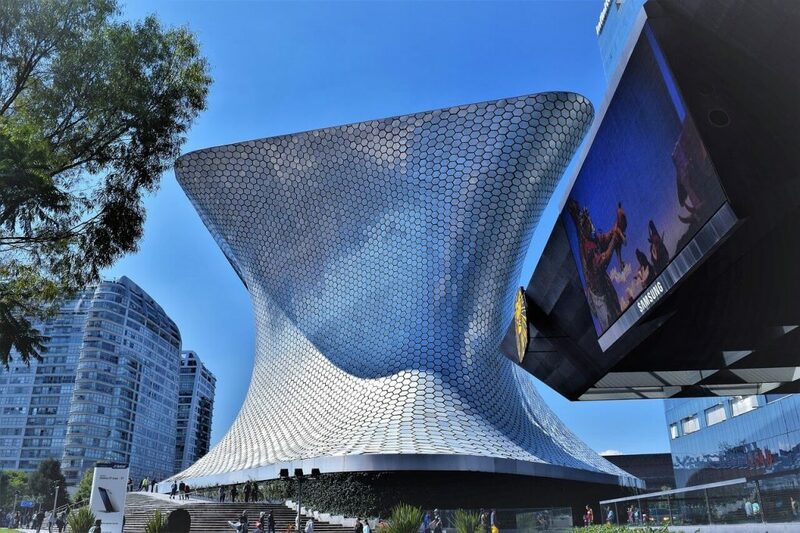 This article on Mexico travel tips won’t be complete without the recommendation to go to the National Anthropology Museum (“Museo Nacional de Antropología”). Even if you’re not a museum or history lover, seeing the huge number of archaeological and anthropological artifacts from Mexico’s pre-Columbian era is a bit daunting. 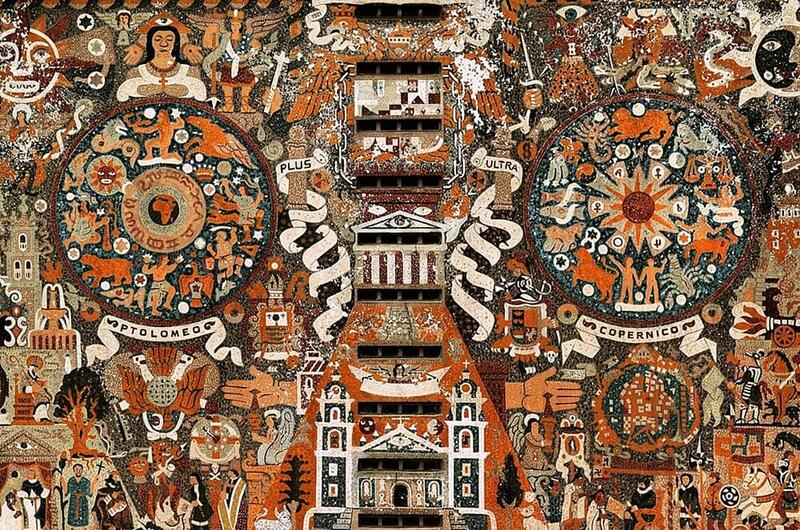 The museum is the biggest and most popular in the country, and its significant collection include the Aztec calendar stone (a.k.a., the Stone of the Sun) and the Aztec Xochipilli statue, the god of art, games, and beauty, among others, in Aztec mythology. Side view of the beautiful Palacio de Bellas Artes. 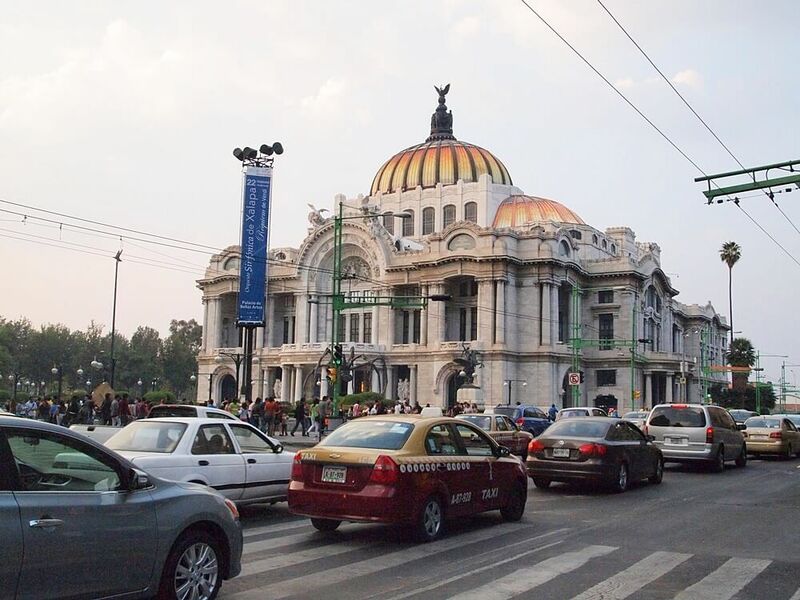 The Palacio de Bellas Artes (“Palace of Fine Arts”) is a beautiful structure in Mexico City. It hosts a lot of musical events, dance shows, theater perfomances, and art exhibitions, among many others. Also called the “Cathedral of Art in Mexico,” you will see murals of Diego Rivera here (also known as Frida Kahlo’s husband). For the best vantage point, head to the terrace of the cafe at Sears building across the road; you’ll get the best pictures there! Entry to the museum is free on Sundays. 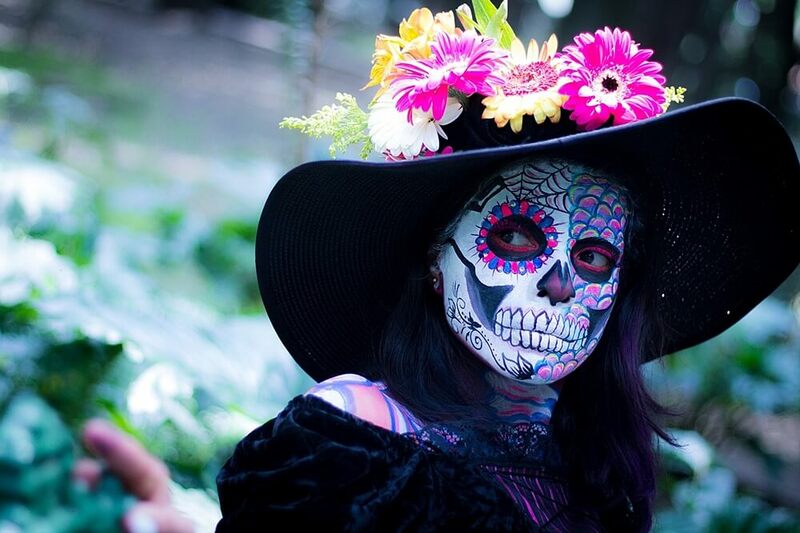 The parks don’t just harbor regional vegetation, hidden behind the layers of trees you will find avant garde sculptures, hand-decorated shrines of Our Lady of Guadalupe, waterfalls, libraries, mosaic kiosks, and castles. But these trees and flowers are not quarantined to just the parks. They are everywhere. Each street is shaded with large Mexican cypruses, sweet gums, or pine trees that twist and contort around the street and buildings like advanced yogis. Some areas are so densely covered with trees it feels like the city was built around the jungle. The people know that the city is too wild to be tamed. It’s like living in a tree house. There is also an exhibit that has a selection of her clothing on display, including the body casts that she was often trapped in after a street car accident when she was 18. They are decorated with butterflies, tigers, communist symbols, unborn children, and stars. If you are huge history buff, you can also go to the Leon Trotsky museum, which is where he was murdered. Leon Trotsky and his wife sought asylum in Mexico City under the protection of Diego Rivera and Frida. A love affair between the Russian communist and Mexican painter quickly ensued. Teotihuacán lies in the Mexican highlands. It is an ideal day trip from Mexico City located in a valley surrounded by mountains just 50 km (25 miles) outside the city. Built around 100 BCE, it is one of the largest ancient cities in the Americas. Back in its prime, the city of Teotihuacán had over 100,000 people, not including people from other tribes coming to trade. 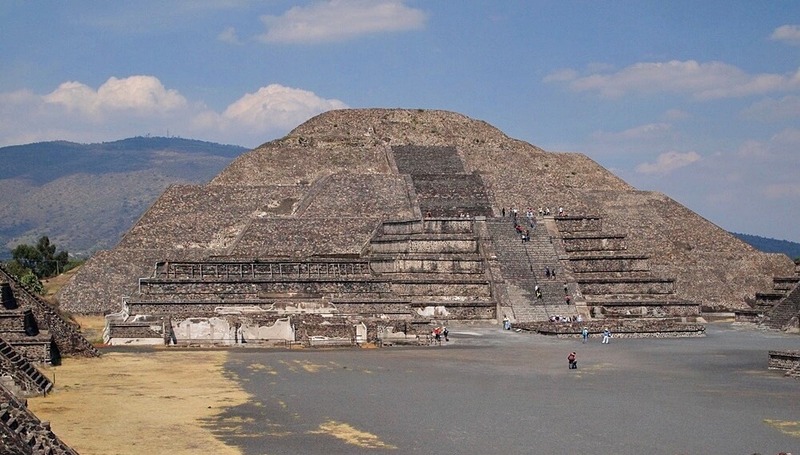 Archeologists believe that the city is organized around geometric and religious symbols, the greatest architectural feats being the Temple of Quetzalcoatl and the Pyramids of the Sun and Moon. The Avenue of the Dead and the Pyramid of the Sun, from the Pyramid of the Moon. The site was founded and named by the Aztec but not created by them and is a mystery to the Aztecs themselves. They deemed it “place of the gods” and re-purposed it for their own civilization, controlling the area until the conquistadors arrived. 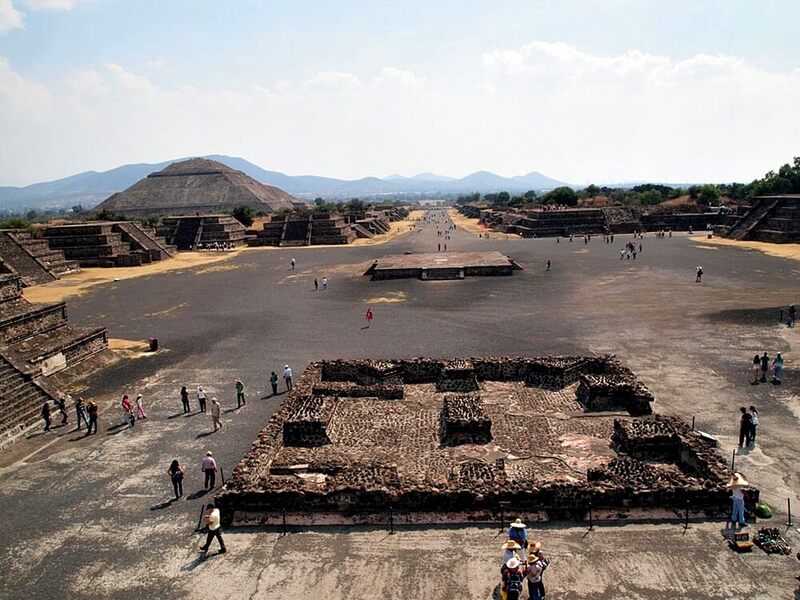 Teotihuacán’s original makers are still unknown. Archaeologists have found evidence of these people’s ancient rituals: human and animal sacrifices. The Pyramid of the Moon has been excavated and found a plethora of human and animal remains, with heads decapitated from their bodies. You can walk around and dance on top of the Pyramid of the Sun and Pyramid of the Moon. There are multiple buses that go out to the pyramids every day. The site also has souvenir shops and a museum that holds some of the excavated objects and histories. From the outside, Mexico tends to get a bad rap, reinforced by exaggerated stories and generations of xenophobia (which is ironic because if anything they should be afraid of Americans coming in and taking their land). However, like most cities, there are safe spots and there are neighborhoods to avoid. Going on a Mexico solo travel trip isn’t necessarily dangerous. Unless you travel to some of the poverty-stricken areas, red zones, or poor towns, the chances of you getting robbed are pretty slim. Yes, it happens; nevertheless, everyone’s experience is going to be different. The first time I traveled to Mexico, I got my passport stolen in the first three hours. This most recent time, it was smooth sailing. It’s chance. If you feel more comfortable, I would suggest to have a male companion when you go out at night. However, I took a ton of cab rides with solo taxi drivers who said nothing inappropriate, walked by plenty of homeless people who asked for nothing more than money or food, and walked home late at night by myself. There was the occasional ogle, but I didn’t find it to be what I anticipated. Here are a few Mexico solo travel safety tips. Use Uber so you won’t be ripped off. You can also contact your cell phone provider to see if your data transfers over to Mexico. Alternatively, you can rent a mobile Wifi. Keep your passport close + your money closer. I always have a pair of leggings that have a tiny zipper pocket in the back and it is perfect credit card size. My bra is always my best pocket, too. Take a photo of your passport and make sure a family member has a copy. Know where your embassy is. If you lose your passport or need help, you would need to contact them. Research nearby cafes with Wifi close to where you are staying (and the parks have excellent Wifi as well!). Walk around your hotel/hostel during the day and be familiar with the streets, posters, and other identifiers. That way you can always Hansel + Gretel your way back to your hotel to avoid getting lost. Ask women for help. I hate to be sexist, but I always feel more comfortable and am less likely to be scammed ( or coerced) when I ask a woman for help. I don’t feel as uncomfortable when being openly vulnerable in front of them. Use Women Safety app — this allows women to let their loved ones know if they are in an unsafe space. It sends details of your location if the panic button is pushed. Have you gone around Mexico City alone? Cna you give some Mexico solo travel tips? All photos courtesy of Kin Enriquez of Boarding Gate 101, unless otherwise specified. Pixabay photo credits: mochilazocultural (featured photo), javierbenitezl, and pexels. Adrien Behn has self-produced Strangers Abroad, a travel+storytelling podcast. Strangers Abroad is a series of conversations she had with strangers that she met while backpacking throughout Latin America for 5 months, overlapped with her personal stories about being a woman who travels alone. The podcast aims to focus on the self-growth and eye opening experiences that happen to individuals when they travel abroad. 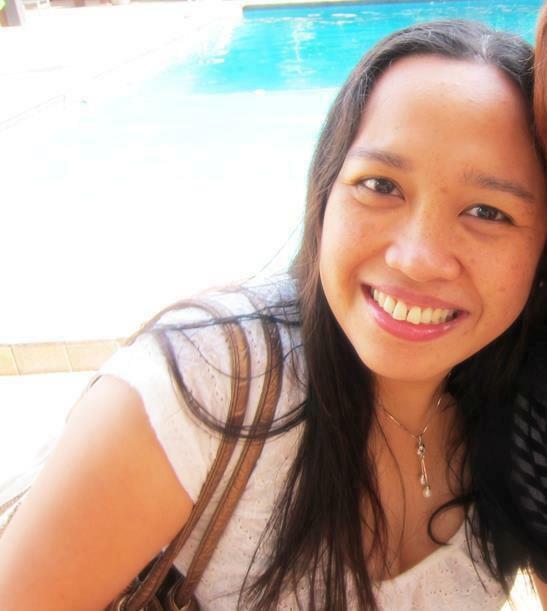 She is a travel writer, live storyteller, and intense pie baker. Follow her on Facebook and Instagram. Thanks for your great information. Mexico is a fantastic destination place that I had visited last year with my friends. 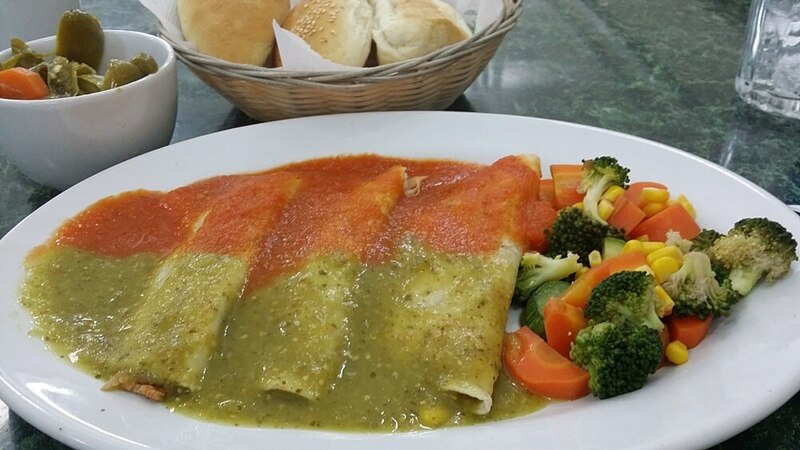 We will make a plan again to visit Mexico, thanks for these tips! I’ve been on the fence about Mexico City for like a month. Fear is the #1 issue. I found a super cheap flight from Bham, AL (my home town) and its never cheap international flights from here. I always have to fly out of ATL. I’m going to put my big girl pants and go for it! I like old with new here Adrien. Few cities pull it off. Mexico City seems to do it through your awesome post. Most cities sway to new or old and give off a heavy vibe in either direction. Like some cities are steeped in history while others bleed glam and hip. I love cities mixing the 2 seamlessly.